Pete Magill is the oldest runner to race 5K in under 15 minutes. He ran 14:34.27 on the track at age 46, 14:49 on roads at age 47. He’s a smart and entertaining guy. In an earlier article, I linked to Pete’s excellent intructional video of exercises that delay age-related speed losses after age 40. It seems that shortening stride length with age accounts for most of the slowing, and it can be corrected with exercises such as Pete recommends. Part of what makes Pete’s ideas so magnetic is that he doesn’t go overboard on analysis. His advice is based on real experience, not theories or physiology or “running the numbers.” And his amazing successes, and those of the runners he coaches prove the validity of his ideas. Numerous studies have shown that too much rational analysis interferes with judgment. (For a sampling of the science, see here, here, and here.) Pete Magill long ago arrived at similar conclusions, but without a lot of…well, rational analysis. Put away your watch. Stop counting miles. Start listening to your body. It’s that simple. But it’s not. Because almost no runner will do it. But running is not a bank account. It’s not a place where we can deposit miles and hard repetitions and time trials and hill repeats … and then simply withdraw them whenever we please. Running is an art – the art of effecting changes in our bodies that make us better runners on race day…. The watch and a focus on mileage encourage us to measure success based upon the tools we use for change, rather than on the change itself. That paragraph is packed with wisdom that every runner can apply, regardless of age, talent, or experience. I used to believe that running was mechanical. Run so-and-so-many miles, at such-and-such pace, and you’ll get a result. It’s a tempting way of thinking. After all, doesn’t science rule the physical world of the body? For a long time now, beginning in the 1970s, our sport has been infested with PhDs who’ve tried to reduce training to “doing the numbers.” What’s your best 5K time? Okay, here’s your schedule for a 5K PR. Do this and you’ll improve. But, thank heavens, the PhDs’ omniscient aura has begun to fray, as runners recognize the superior wisdom of Arthur Lydiard and other coaches who’ve based their advice on real-world experience. What makes Pete Magill fun to listen to, and credible, is that he’s a human being first, and a numbers twirler only very secondarily. In that, he’s a lot like Lydiard and his descendants. Lydiard’s books are still fun to read, because it’s like listening to a wise mentor. His words ring with truth. Lydiard and his disciple Keith Livingstone, author of the wonderful Healthy Intelligent Training, aren’t really “running coaches.” Rather, they’re Running Teachers, in the eternal sense of wise counselors who speak from direct experience. They don’t merely poke and prod the running body from the outside, believing in only what they can measure. Instead, they’re equally tuned to the art of running. Back when dinosaurs still roamed the earth, I wrote a blog post, “The Art of Running, the Law of Running,” about Brazilian soccer. Later, when many of the top Brazilian players were recruited to Europe, the national team resorted to a brutal “Game of Results,” employing dirty tactics to win at any cost. But this approach quickly proved meritless, as the team’s fortunes continued to decline, and the fans turned away in disgust and shame. There’s much to be said for the notion that, in running, the journey is the destination – that the best training is beautiful. The best training is the art of running in harmony with the body’s ever-changing needs. Not surprisingly, running like an artist, with one’s attention fully merged in each moment, also produces the greatest joys a runner can know. What’s With the Post-Long-Run Munchies? 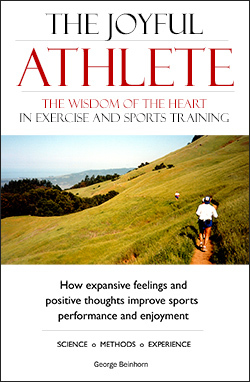 Also by George Beinhorn, a revolutionary new book (September 2018) that will inspire parents, educators, and athletes, alike. 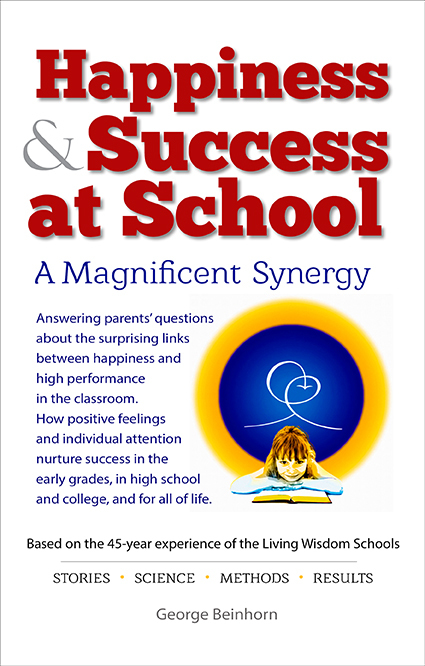 Where Joyful Athlete showed how happiness and success go together in exercise and sports training, Happiness & Success at School tells how they are inseparable in school, at work, in the military, and in every aspect of our lives. Also, have a look at Head & Heart: How a Balanced Education Nurtures Happy Children Who Excel in School & Life, published by George Beinhorn in 2017. Head & Heart takes a deep look inside an inspiring Palo Alto, California TK-8 school where the kids are happy, strong, and mature, and the graduates’ average high school GPA is 3.85. Subscribe to be notified by email when new articles appear.